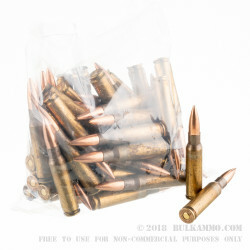 They call them seconds, but for the money, you won’t find better ammunition for long range plinking, even given a few may not function perfectly. The specifications are safe, but they are not within the mil spec for this particular loadout. The XM118 is a high tolerance boat tail hollow point made to the most stringent specifications possible by Lake City. 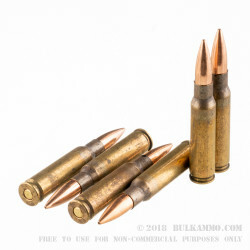 Trying these rounds at least once for hunting or for long range target work, will always be worth a shot. 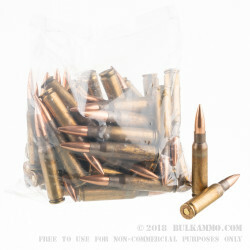 The benefit of the specifications at the price means you get at the very minimum, a good round, with great brass that can be easily reloaded, and assuming you get a particularly good lot of “seconds”, you’ll be getting an incredible deal on one of the best loads you can find in any market for a cartridge of this premium a quality. 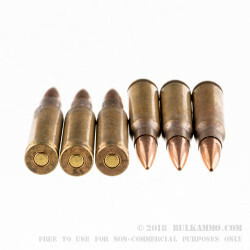 The way the specifications work allow for an entire batch to be sold to the commercial public, instead of being shipped for military precision shooting needs, if only a tiny percentage of rounds fall outside of specification. That means: you might get some poor examples but you’re likely to get incredible ammunition that has nothing wrong with it at all, and for a very decent price considering the originating specs. As the product says, they are seconds (brass is nicked/scuffed up) but just like my time in the Corps, they still go bang and hit the target accurately. I've bought multiple packages of these and haven't had any duds yet.